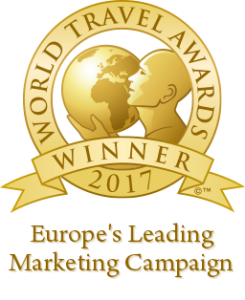 We’re proud and very excited to announce that the ‘24 Hours in the UK‘ campaign, a collaboration between VisitBritain and iambassador, has been nominated for a World Travel Award in the category ‘Europe’s Leading Marketing Campaign’. This innovative campaign highlighted the wealth of experiences that visitors to the United Kingdom can have at any time of the day. We sent ten bloggers to all corners of the UK to capture their 24-hour experiences on video, resulting in 32 videos, one each for every hour of the day and other promotional videos. The campaign took off on Facebook and was met with great enthusiasm by travellers around the world! 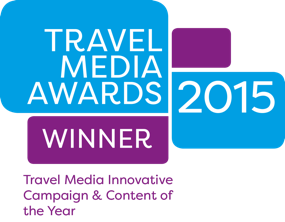 We’re honoured by this incredible recognition and we hope to take it a step further by winning this award! This award would mean the world to us but we’ll need your help. Please vote for 24 Hours in the UK. Read more about the 24 Hours in the UK campaign. A BIG THANK YOU to our valued partner VisitBritain for the fantastic collaboration on this innovative project! This was a terrific team effort and we can’t be more proud of the result! We would also like to thank the wonderful bloggers who participated in this campaign: Rob, Nienke, Sam, Audrey, Brendan, Monica, Jana, Heloisa, Paul and Adeline! Your posts, photos and videos have certainly inspired many to travel to the UK in search of those amazing experiences! THANK YOU!